Golf Injuries are very common, despite being considered a low impact, non-strenuous activity that can be enjoyed by players of all ages and abilities, golf also has a down side; golf related injuries. In fact, each year hundreds of thousands of golfers develop some form of pain or injury that interferes with their ability to play their best, or even worse, keeps them off the course all together. When aches and pains develop many golfers take the approach of ignoring the problem, hoping it will just go away. Unfortunately, this usually leads to more pronounced pain and advance injuries, rather than a resolution to the problem. To make matters worse, these injuries are often slow to heal and responding to traditional types of care. When talking about sports injuries it is important to talk about two major types of injuries, acute and repetitive. Acute injuries occur following a single event, such as a fall or hard collision. Fortunately these injuries are rare in in golf. On the other hand, repetitive strains are the vast majority of golfing injuries. Repetitive injuries; as the name implies occur slowly over time from performing the same motions over and over improperly creating scar tissue and micro traumas. The high level of repetition associated with the golf swing is bad enough on its own but making matters worse is the fact that each swing requires the production of a tremendous amount of muscle force. Fortunately, a new treatment technique, known as Active release technique, ART is proving to be a very successful method to combat many common golf related injuries and helping golfers get back on the course. It does this by creating better relative motion between structures, breaking up scar tissue and repairing micro-traumas. 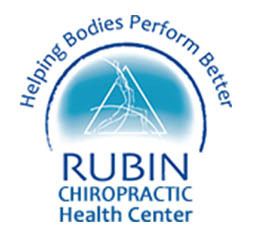 Dr. Scott Rubin at the Rubin Health Center in St Petersburg Fl, is full body certified in ART and part of the Elite provider network. For an apt call 727-822-1555.